Ethanol fuel production is the largest user of South Dakota corn consuming approximately 50% of the state’s supply this year totaling 346 million bushels. Ethanol is providing South Dakotans and Americans alike with a domestic, clean-burning, alternative fuel that saves consumers money at the pump and lessens our countries dependence on foreign oil. Ethanol has helped produce thousands of jobs in both rural and urban South Dakota and according to EPA, ethanol produces 52% less greenhouse gases than conventional gasoline. 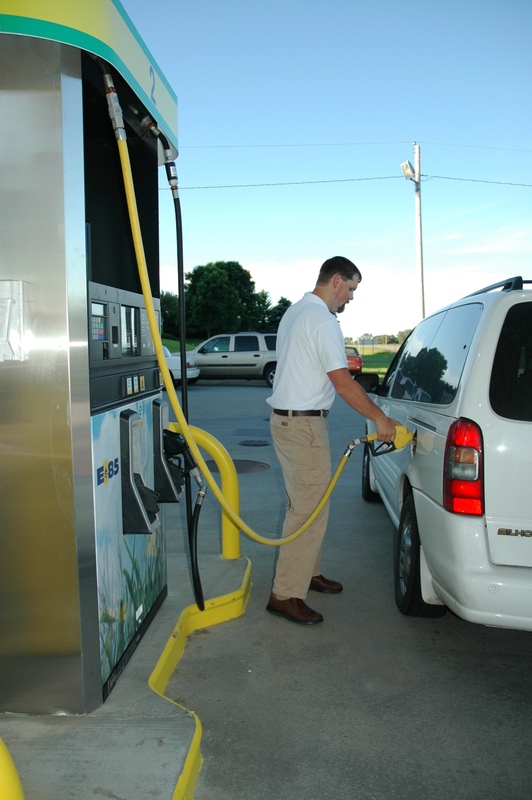 The state of South Dakota ranks 5th nationally as it produces over one billion gallons of ethanol annually. The state will be consuming more of that renewable fuel as it will soon become the national leader in ethanol blender pump locations. You might be thinking to yourself, “that’s a lot of corn to make a fuel,” but you need to remember that a third of the corn used in ethanol production comes back as dried distiller grains (DDG’s). In South Dakota, DDG’s replaced 25 million bushels of corn in 2010. The state produced at total of 2.7 thousand metric tons of DDG’s in 2010 with 2.1 thousand metric tons being exported and the rest being fed to South Dakota livestock. Ethanol production is providing both a clean-burning, renewable fuel and a high-protein feed for livestock around the world. Corn ethanol will not be the complete long-term answer to breaking our countries dependence on foreign oil, but it is creating a market for futuristic biofuels and establishing the necessary infrastructure to compete with oil moving forward. This entry was posted in Education and tagged corn, DDGS, ethanol, South Dakota.